Italian Aerospace Network attended the 2016 Grand Exhibition of Silk Road Investment and Trade Forum for Cooperation between East and West China in Xi’an, Shaanxi Province, China. 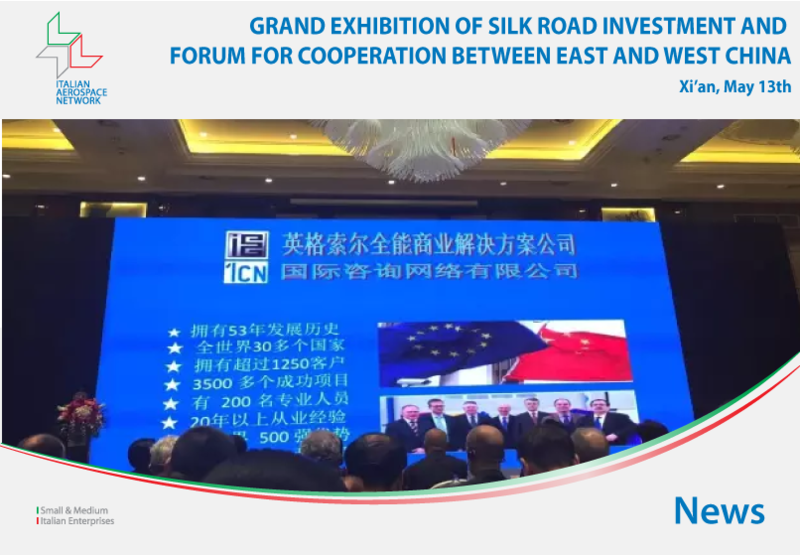 During the event held from May 13th to 17th several key events were organized in order to promote the new and existing cooperation projects along the Silk Road. IAN, as one of the European organizations attending this event, deepened its relationships with the local institutions regarding some key cooperation projects, such as: aircrafts’ cabin conversion, landing gear, robotics, composite materials, flight simulation, automotive engineering and technical consulting.